The Selway is on Sale! | Was $87,901 | NOW: $67,734! 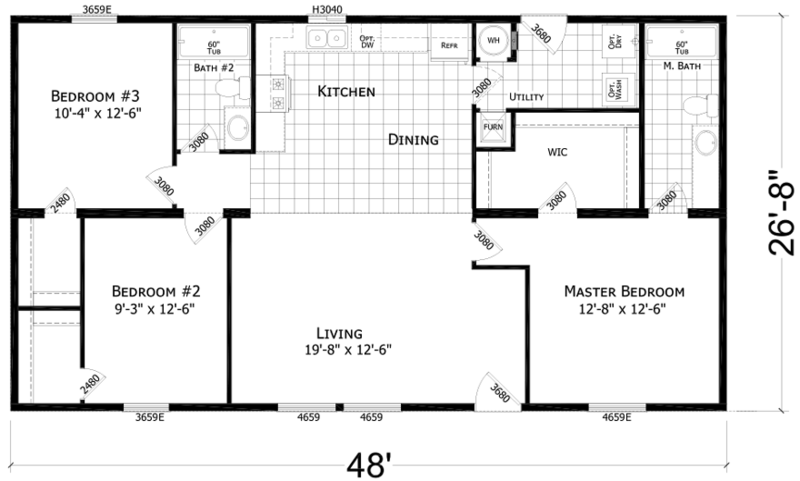 The Selway model has 3 Beds and 2 Baths. This 1280 square foot Double Wide home is available for delivery in Idaho, Washington, Oregon, Montana, Wyoming, North California, North Nevada & North Utah. With a buyer-friendly price tag and plenty of space to work with, the Selway could easily be used in a variety of ways. Home buyers will love the massive bedroom walk-in closets that have been included as well as the open kitchen/living area, tailor-made for large gatherings. Inquire about the optional closet shelving and washer/dryer. Ask your housing consultant about the other great features that come standard on the Selway manufactured home. This Factory Home Centers location delivers our finely built Champion Homes to Idaho, Washington, Oregon, Montana, Wyoming, North California, North Nevada & North Utah.